Enjoy city and pool views from every room including on your balcony from this fantastic south facing one bedroom that provides excellent natural light. 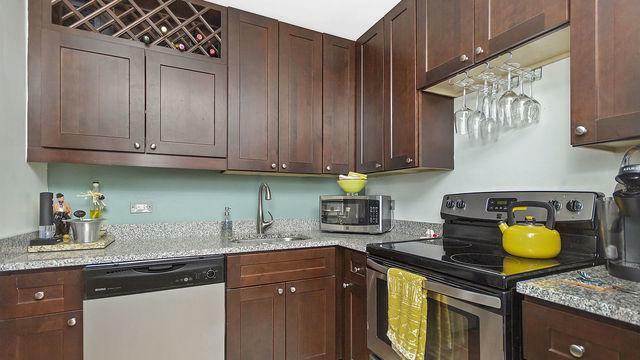 This condo features stainless steel appliances, cherry cabinets, and granite counters. Hardwood floors are located in the foyer, living room, and kitchen. 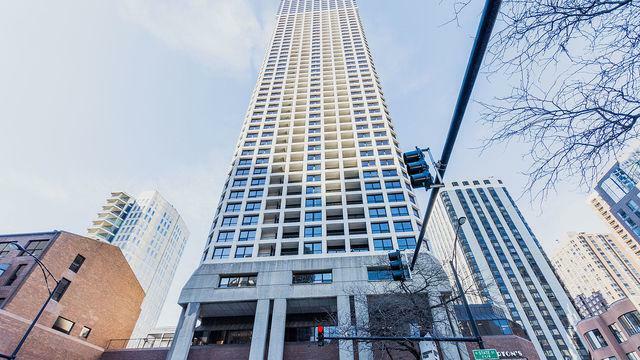 The building is located in the heart of Chicago's Gold Coast and is full amenity with 24 hour doorman, exercise room, completely remodeled outdoor pool and pool floor, remodeled lobby, restaurant, high definition DirecTV, and much more. 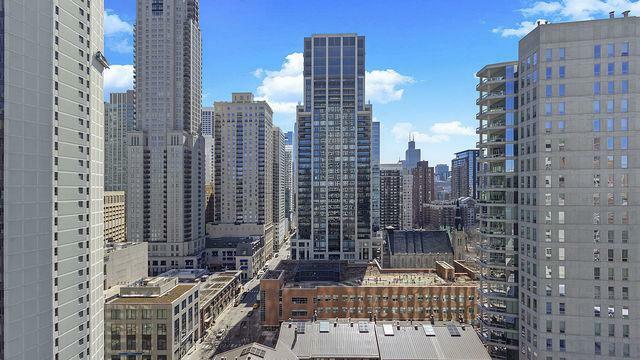 You cannot beat this location with Tavern on Rush, Maple & Ash, Gibsons, Hugo's, Lou Malnati's and other iconic Chicago restaurants outside your front door. All utilities besides electric are included in the very low HOA amount including heat, air, high def DirecTV, and 250 MBPS high speed internet. 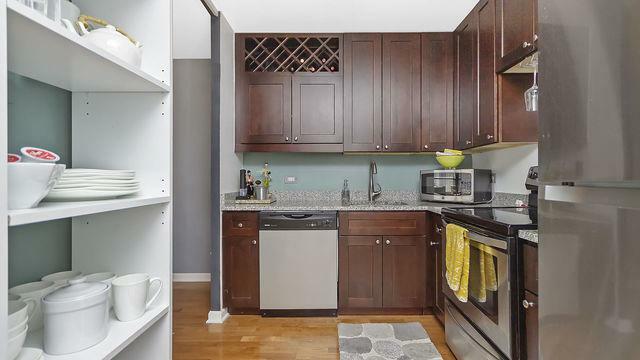 Come and live the good life in the middle of the best that Chicago has to offer.